Officials from the United States Olympic Committee (USOC) have planned a visit to Salt Lake City on Wednesday (November 14) to tour potential venues that could form a future American bid for the Winter Olympic Games. 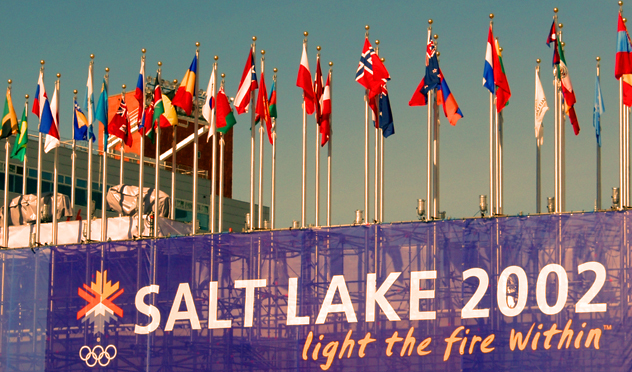 The tour will include stops at the Utah Olympic Park which hosted sport at the 2002 Winter Olympics in Salt Lake City. The venue is still used for training and competitions and the International Skating Union Short Track World Cup is also currently taking place at the city’s Utah Olympic Oval. Officials will meet with Utah’s Governor, Gary Herbert, and Salt Lake City Mayor Jackie Biskupski at the University of Utah’s Rice-Eccles Stadium – the venue for the Opening and Closing Ceremonies in 2002. While USOC will also visit Denver and the Reno-Tahoe area as potential sites to form a bid, the Utah Governor is confident of Salt Lake City’s chances. “We did it before and we can do it again,” Herbert told Deseret News. “And we did it better than anybody’s done it, so why not try it one more time? The city’s Mayor also talked up Salt Lake City’s chances of becoming the American bid city. “It’s really ours to lose,” Biskupski said. “We are excited to show members of the USOC the state of winter sports here. Some have tipped the US to bid for the 2026 Winter Olympics and Paralympics should all three contenders – Calgary, Stockholm and Milan-Cortina D’Ampezzo – fall away. Patrick Sandusky, the chief external affairs officer at USOC, insisted that the country was looking at a later Games, however, which would appear to suggest 2030. “The USOC has expressed interest in bidding for future Winter Games, but we are not involved in the 2026 campaign,” he said on Twitter. A 2026 Games in the US would also come two years before Los Angeles stages the 2028 Summer edition. The bidding process for the 2002 Games was embroiled in scandal after allegations of bribery led to the expulsion of several International Olympic Committee members.